Like most of the signatories to the Treaty of Washington in 1922, Italy had not built a line building since the Great War, but had already ventured into the domain of the “super dreadnought” that was contemplated in 1916-1918. In the transalpine case, these were the four Carracciolo, whose speed (28 knots) and firepower (8 x 381mm) prefigured them. Laid down in 1915, launched in 1920 but never completed, they were seized for demolition by the tonnage limits of the treaty. In 1932, however, Italy and Japan no longer felt bound to the clauses of the treaty and embarked on the study of a new battleship. At the same time, the industrial and building sites were busy rebuilding the four existing battleships, allowing to test many technological solutions. The experiment will be used to design the Litorrio. 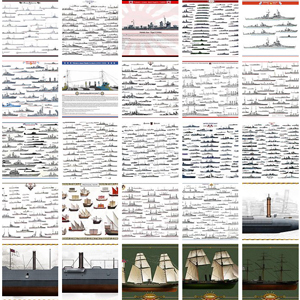 Due to the size of the ships, only four could be built, one after the other over a period spread between the launches. 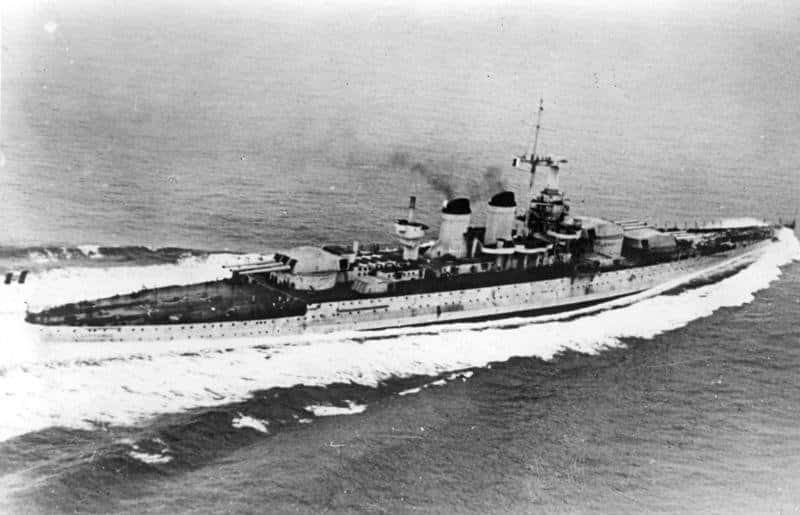 In fact, the construction of the Litorrio, head of class, started in 1934, along with the Vitorrio Veneto, followed by the Italia, while the Impero was never completed. The Litorrio was inspired by other classes of buildings such as the French Strasbourg, themselves responding to German Deutschland. 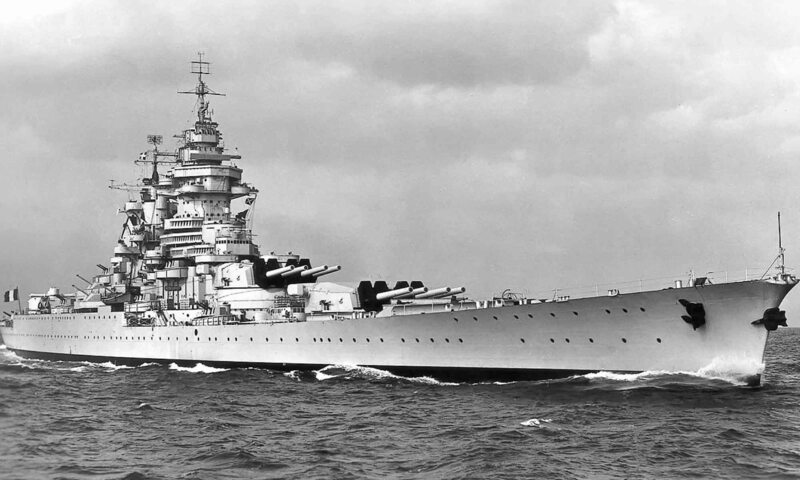 While the French had chosen a configuration “all in the front” in quadruple turrets, the Italians finally leaned on three triple turrets distributed between the front (two) and the attire. As a result, they still had firepower available for hunting. 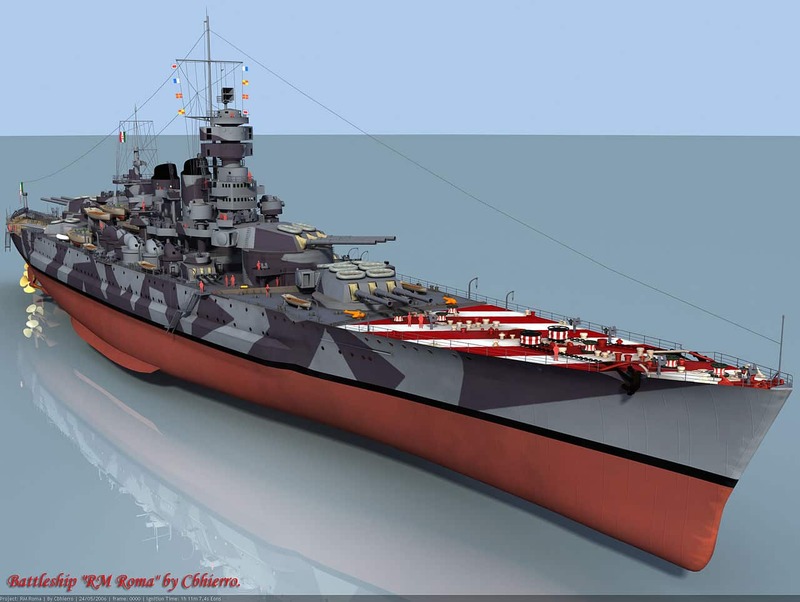 This balanced configuration was to become the norm for super-dreadnoughts, adopted by Germany (Scharnhorst), Japan (Yamato), and the United States (North Carolina and following). Moreover, these buildings were better protected thanks to cofferdams of a new design. Thanks to a more advanced machinery reaching 130,000 hp and a careful hydrodynamic, the maximum speed was 30 knots (54 km / h), which was always better than the rebuilt battleships but remained less rapid than the cruisers of the ” (Up to 42 knots!). The Litorrio was built at the Adriatic yards in Trieste and launched on August 2, 1937, while the Veneto was built at Genoa (Chantiers Ansaldo) and launched on July 22, 1937; The latter began its tests in October 1939, delivered in April 1940, incomplete, and then joined La Spezia to receive its final equipment, which was completed in May. He then went on to Tarentum. The litorrio, on its part, was completely completed on the 15th of May, and reached Tarentum. The Roma was begun at CRDA Trieste in September 1938 while the Impero began at Ansaldo in May 1938. 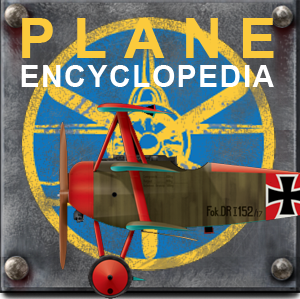 The first was launched in June 1940 and completed in June 1942. The impero was launched in November 1939 but never completed. The latter two buildings differed by their longer elongated hull at the front and a reinforced DCA. The Litorrio and the Veneto were admitted together in active service in August 1940 in the 9th Division, 1st Squadron. 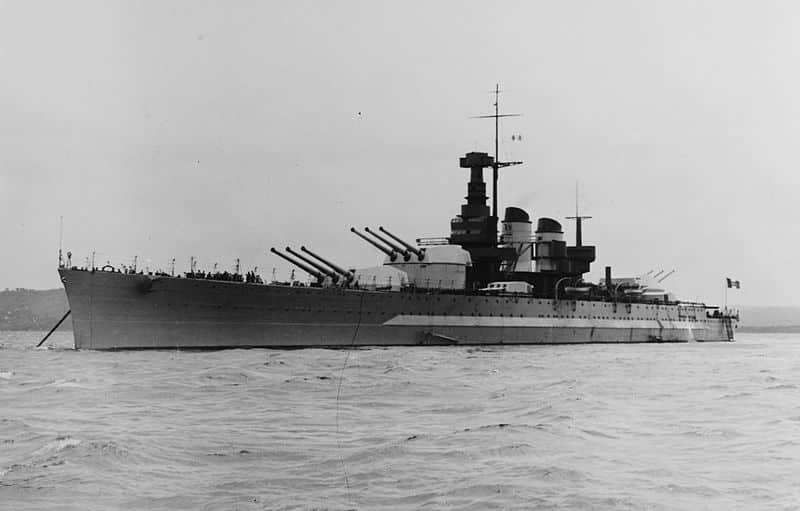 The fleet set sail on the 31st with three other battleships, ten cruisers and 31 destroyers to attempt to intercept the British convoy to North Africa without success (HATS operation). The squadron made another sortie to intercept a convoy to Malta on 29 September. During the attack on Taranto on November 12, 1940, the Litorrio was struck with two torpedoes and put into action for repair until April 1941. The Veneto escaped this attack and was transferred to Naples. On 26 November he took part in the battle of Cape Spartiviento in the south of Sardinia and was attacked by torpedo planes but succeeded in avoiding torpedoes by maneuvering as best he could, and for a short time engaged the British cruisers with his artillery for hunting. Veneto sailing out of Matapan, torpedoed. 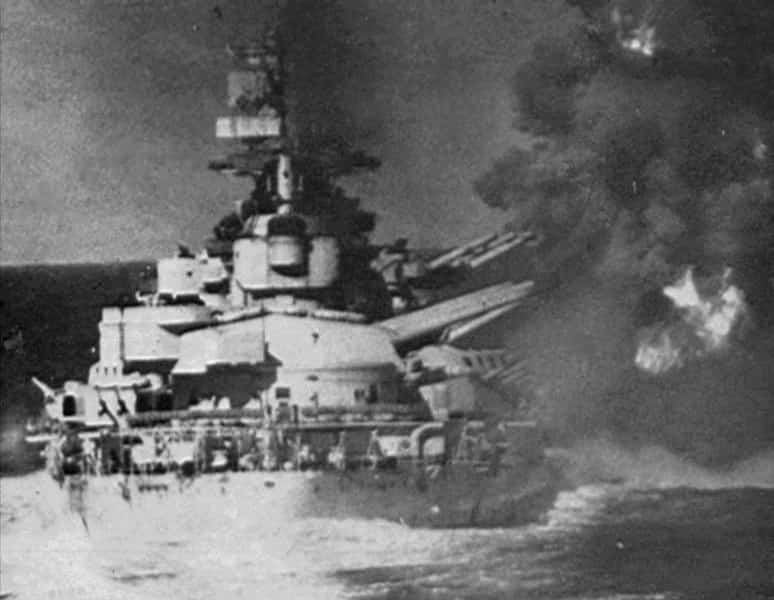 The Veneto escaped bombs during the attack on Naples in January 1941. 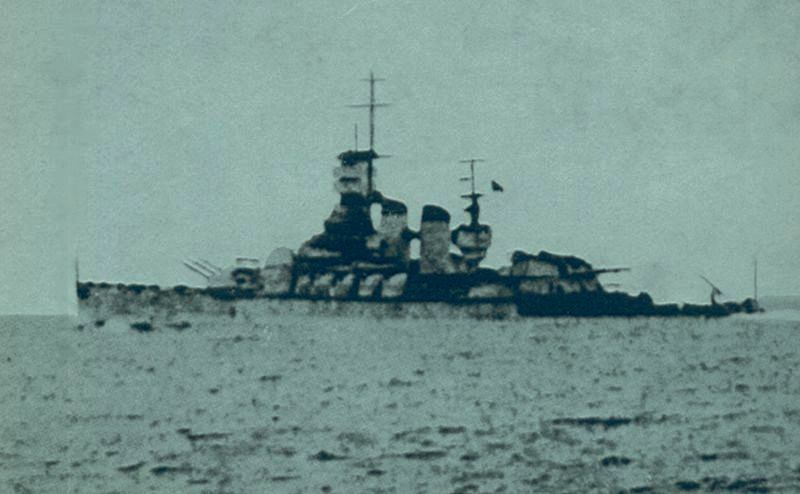 In February with two other battleships, it made an unsuccessful sortie against the Force H part bombing Genoa. On the 26th of March he set sail to attack the convoys to Greece under German pressure. The Veneto was then engaged in what would become the battle of Cape Matapan, together with the Guilio Cesare. He hired the British cruisers, and underwent a HMS formidable bomber attack. He escaped the first wave but was struck by the second wave of a torpedo with the Pola. 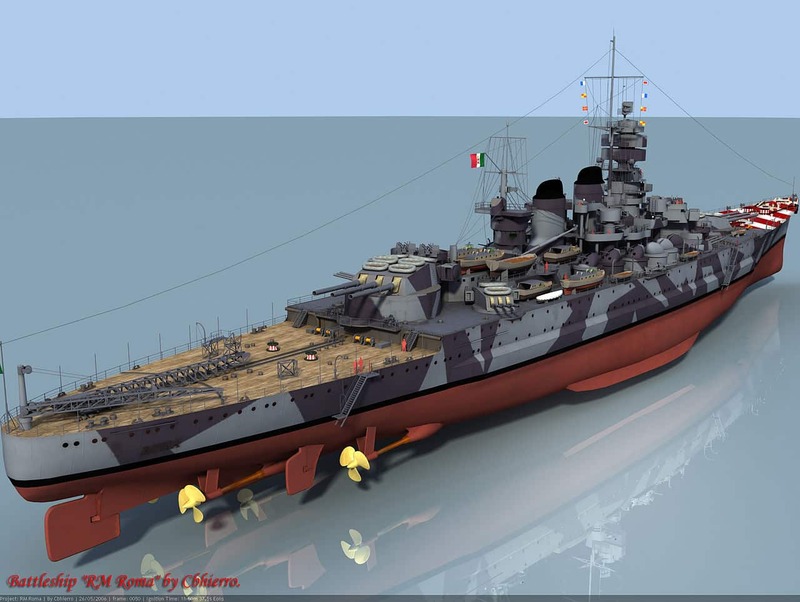 He weighed 4000 tons of water and managed to regain Taranto on 29 March. Repairs completed in June. In August 1941, the two vessels met together and operated on the 22nd without meeting the convoy. On the 26th of September they departed to intercept the force sent for Operation Halberd, but they returned to the port when the sortie was canceled. The Veneto found itself escorting a convoy when it was torpedoed by the submarine HMS Urge. His repairs continued until the spring of 1942. In December, the Litorrio was engaged during the first battle of the Great Syrta. In January he took part in another engagement in defending a convoy, and in March, during the second battle of the Great Sirte, seriously damaged the destroyers Havock and Kingston. In the spring of 1942, the two vessels found themselves in action against the convoys of malta, coming from Alexandria and Gibraltar. On return, the Litorrio was bombarded by a B-24 Liberator (without damage), then torpedoed by a Wellington. He will remain stationary until December. On the 12th the two vessels were sent to La Spezia to respond to Operation Torch. The Roma came to add to the squadron, and the fleet made two sorties against the convoys. Due to the combined fleet forces, however, these sorties were quickly abandoned. In June, the US air force began a series of attacks on La Spezia. The Veneto was thus struck by two bombs and was evacuated for repairs to Genoa and did not participate in anything before the armistice. 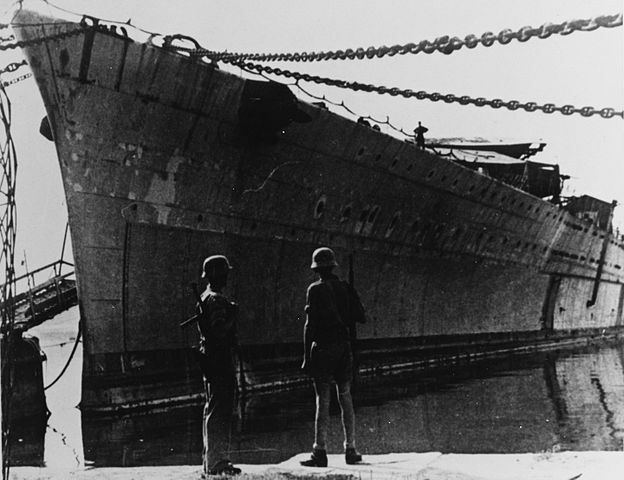 The Litorrio was struck by three bombs and renamed Italia after the fall of Mussolini. The Veneto was also draped twice. In September 1943 the three ships were taken to Malta for internment and attacked on the way by German bombers equipped with the new guided Fritz-X bombs. The Italia was hit at the prow and the battery, the Roma was completely destroyed by an impact in the ammunition hold. From Malta, Italia and Veneto were transferred to Alexandria, anchored in an area of ​​the Suez Canal until the end of the war. In 1946, by virtue of the treaties of peace and reparation, The Veneto was granted to Great Britain, who transferred it to La Spezia. The ship was removed from the lists and bought back for the demolition in 1948, which took place this year, as well as the Italia, granted to the USA. The unfinished Impero served as a test target for the Germans, was then bombed by the US Air Force, then sent to Venice for demolition in 1948. Unfinished Impero under German control. 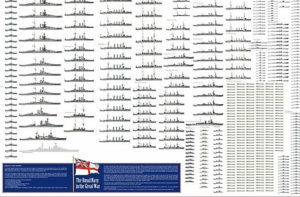 Specs Conway’s all the world fighting ships 1922-1947. Armament 10x 355mm (2×2, 2×3), 12 x135mm (4×3), 10 x90mm AA, 12x 37mm, 15x 20mm Breda AA. 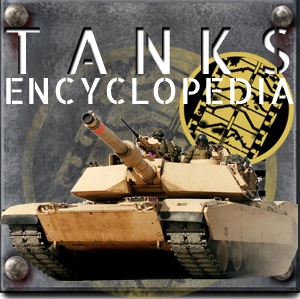 Armor Decks 135-166 mm, barbettes 130-280mm, belt 130-250mm, blockhaus 250mm.